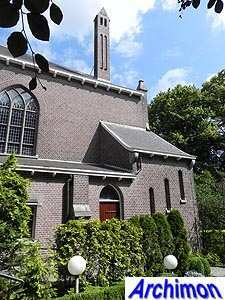 In 1899 a fire destroyed the old church of Overschie, a 15th-century Gothic church with a part Romanesque tower with a distinctive Renaissance spire. 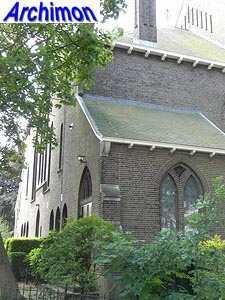 By the end of the 19th century it had fallen into decay and also had become too small for the local protestant community. 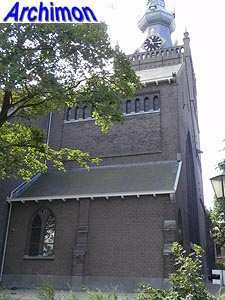 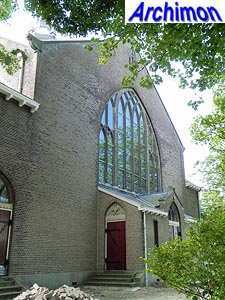 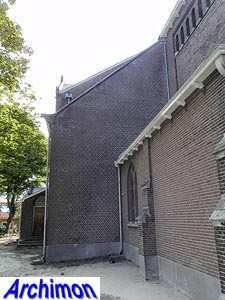 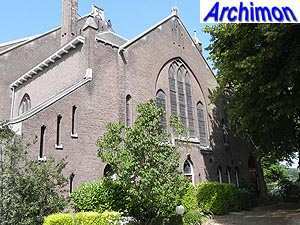 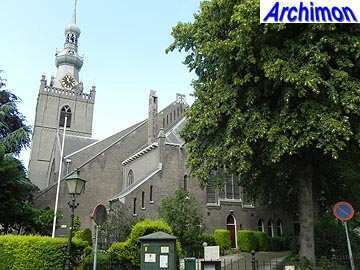 Architect B. Hooijkaas made plans for a drastic restoration, but in March 1899 the discussion whether to restore the old church or to build a new one was ended, when the fire made the choice obvious. 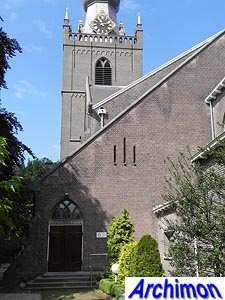 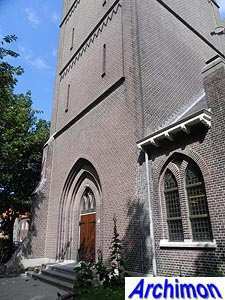 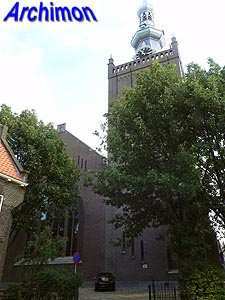 Hooijkaas was now invited to design a new church, with the instruction to include a reconstruction of the old tower, including the spire. 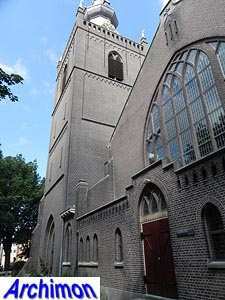 The actual church is a building in a more or less Neo-Gothic style. 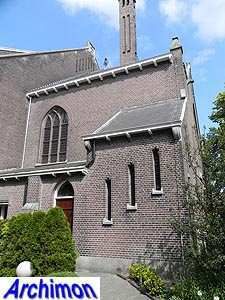 It has a centralizing ground-plan in the shape of a Greek cross, with a wide nave and an equally wide transept. 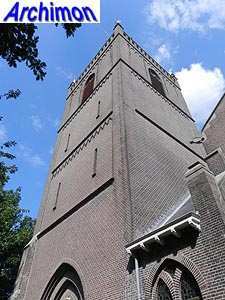 The reconstructed tower is in the South-Western corner between nave and transept, while its predecessor stood at the very front of the central aisle. 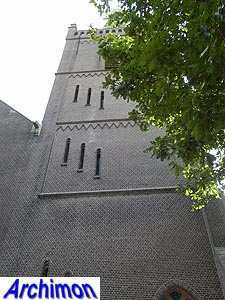 Instead, the Western facade has a big pointed window, and so do the facades of the transept-arms. 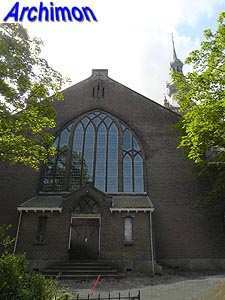 At the Eastern side is a straight and lower choir-like space which has a group of three smaller windows. 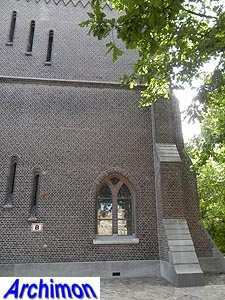 This space is divided in two storeys, the upper of which houses the organ while the lower is the consistory. 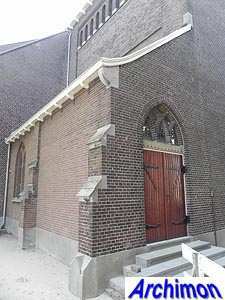 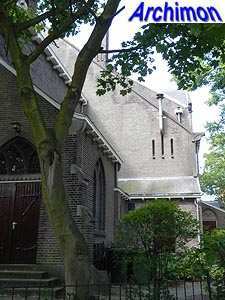 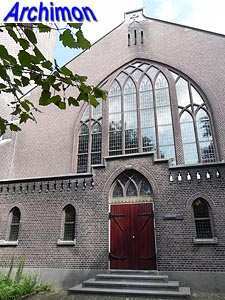 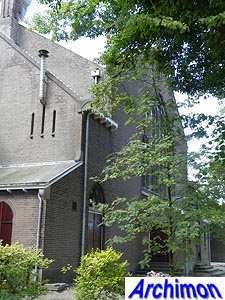 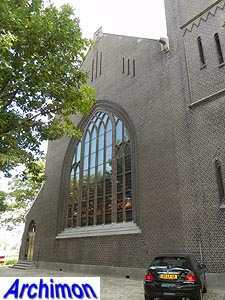 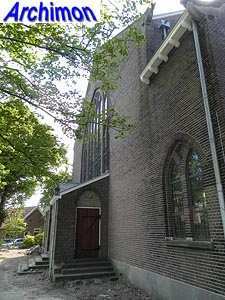 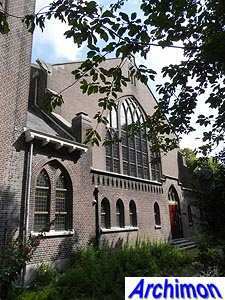 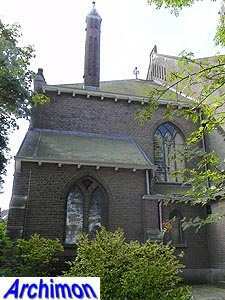 Hooijkaas designed several more churches in the Rotterdam area, most of which were demolished in the 1970's.